At the annual Winter Celebration held on December 10, 2016, Wauna Credit Union CEO & President Robert Blumberg handed out 10 awards to outstanding employees. 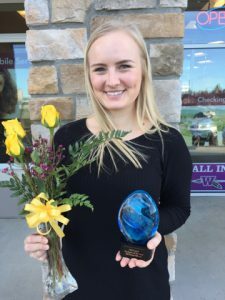 The most coveted award of 2016 Producer of the Year went to McKenzie Wilson, Real Estate Loan Officer at the Warrenton branch. The reward was a surprise to McKenzie but well deserved. She was sitting with her husband Vince listening to her boss Monica Lauber, VP of the Mortgage Department give the final award of the evening, when she slowly realized Monica was talking about her. 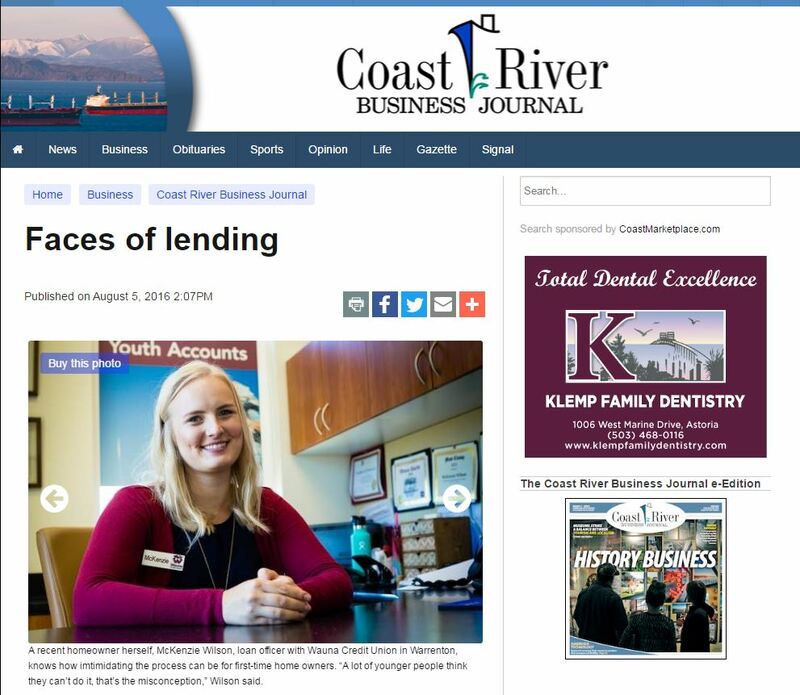 McKenzie started as an intern at WCU during high school. She left for a few years after graduation and decided to come back to WCU. She will celebrate her 5-year anniversary at WCU this year, and knows there will be many more to come. What misconceptions exist about financing for a first home? What advice would give a first-time borrower? What’s the typical down payment? On best preparation, what do you take into account? What’s the sales frequency compared to last year? Typical time a house is on the market? How does it compare to 10 years ago? Is there a typical mortgage rate?